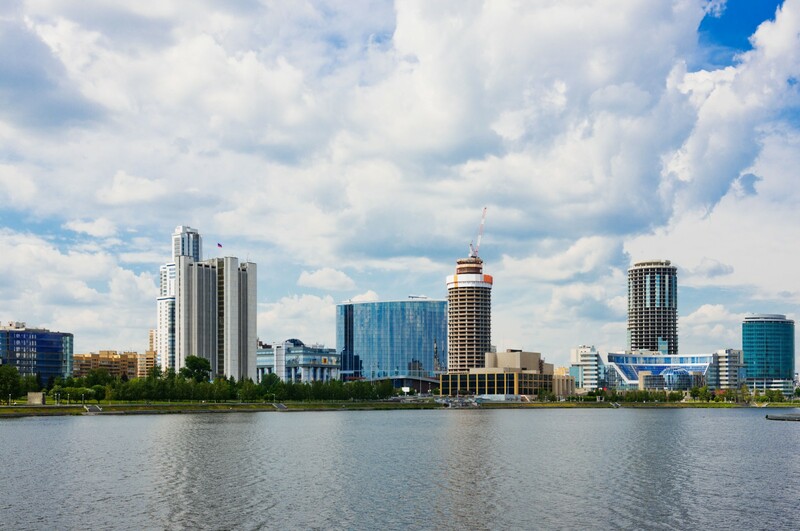 Located behind the Ural Mountains, a natural geographic border between Europe and Asia, Yekaterinburg is Russia’s easternmost World Cup host city. Founded in 1723, it is named after Catherine, the wife of tsar Peter the Great, who became the Empress after his death. The city witnessed the death of monarchy in Russia when tsar Nicolas II and his family were assassinated here after the October Revolution on July 16, 1918. During the Soviet era the city was renamed as Sverdlovsk but restored the historic name after the collapse of the Soviet Union. The city is known for its heavy industry and attracted many internal migrants from within the Soviet Union due to work placements with factories. The city’s national diversity broadened even further during World War II, when many factories from other parts of the Soviet Union, under threat from the Nazis, evacuated their workers to the city along with their families. People from further abroad also came to the city during the economic development of the 2000s. 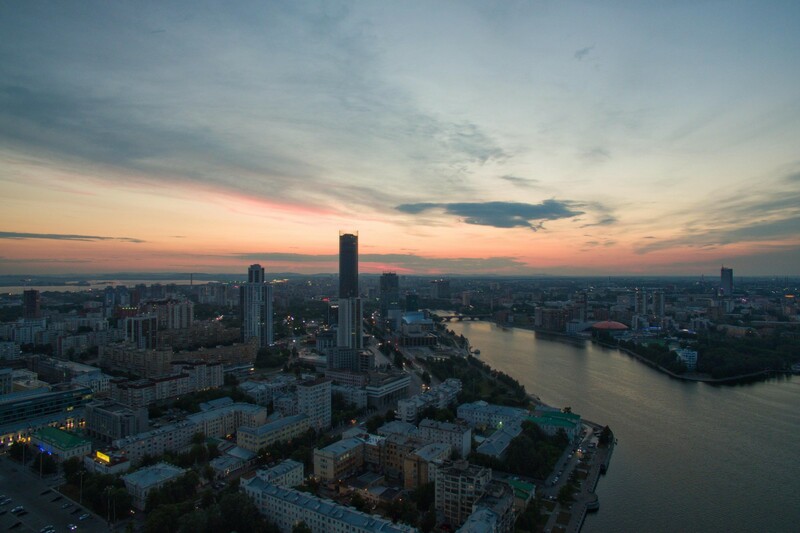 Because of the strategic and military importance of the enterprises located in Yekaterinburg and its satellite towns, foreign entry to the city was actually prohibited until 1991, it was one of Russia’s ‘closed cities. Yekaterinburg doesn’t feature many sights or monuments due to its historic focus on industry but for visitors the sincerity of the local people easily makes up for that. People from the Ural region are considered ‘tough’ but very thoughtful and kind. Much of Russia’s authentic rock music scene from the 1980s originates here; the legendary Nautilus Pompilius band a good example. Visitors should enjoy a safe and pleasant atmosphere at the central Lenin Avenue and Malyshev street, both leading straight to the stadium. A skyscraper on Malyshev street called Business centre ‘Vysotsky’ is worth popping by for the views and there is a small charming ‘Vladi’ bar open around the clock on the 37th floor. The area around ‘Ploschad 1905 goda’ metro station is a special highlight, with several friendly bars and cafes popular with young creatives. The Pedestrianized Vainer street features a lot of street activities and places to eat and drink. An Italian restaurant Maccheroni, the Chilli club, Mammas café and the New bar are among friendly places recommended by locals. The ‘Dynamo’ park next to the old football ground and metro station with the same name is one of the most popular areas to stroll in the summer, along the newly renovated promenade. If you have a free evening and are lucky enough to get a ticket, one of the highlights of Yekaterinburg’s cultural scene is the award winning Kolyada drama theatre at prospekt Lenina, 97. Many experimental plays and youth drama schools touch on, among others, some usually taboo topics of sexuality and the spread of HIV in Russia along with interesting interpretations of the classics. Sortirovka district is considered a migrant neighbourhood with many people from the Chinese, Vietnamese, Korean and Central Asian communities living there. Tagansky clothing market is located here, featuring a monument to ‘chelnoki’, or shuttle traders – an idea from the 1990s denoting mostly highly educated engineers, teachers or any other professions who earned a living travelling to bigger cities or abroad to bring back goods for sale. Locals advise caution after dark in the districts around former big factories that have experienced challenges due to deindustrialisation, namely Uralmash district - although it does host one of the nicest architectural sights in Yekaterinburg, the White water tower built in the 1920s. Beware also around Botanicheskaya metro station in the south, Khimmash district and Elmash in the north. Generally speaking avoid going to the suburbs, particularly after dark. If your accommodation is in one of these districts we would recommend using taxi apps to get around. Nowadays the largest ethnic minority groups in Yekaterinburg are Tatars, Ukrainians and Bashkirs, with sizeable Uzbek, Tajik, Kyrgyz, Korean and Vietnamese communities. Several big universities specialising in economics, technical and natural science attract foreign students from African and Asian countries, who spend a lot of time playing and watching football around their dorms further south along 8 Marta and Bolshakova streets. The triangle between Volgogradskaya, Chkalova and Moskovskaya streets in the South-West is commonly referred to as ‘Gypsy village’ due to a large number of private houses belonging to the local Roma community settling here since the 1960s. The relationship between the Roma community and the city administrators is not the most harmonious, with the latter making continuous attempts to redevelop the area with new apartment blocks. Despite having a sizeable Muslim community, Yekaterinburg has relatively small mosques. The planned construction of a bigger mosque is mired in controversy with the city authorities, who gave away the land initially allocated to build an ice hockey arena. The synagogue and Jewish community centre at Kuybysheva, 38a finished in 2005 at the site of a historic synagogue demolished by the Soviet government in 1961. The Jewish community is very active in Yekaterinburg with many cultural and religious events. The Jewish community centre building neighbours another architectural highlight – an office centre built in a traditional Chinese style hosting various offices and an academic center studying China and Central Asia. Yekaterinburg’s LGBT+ community is not very big but quite active, with a Resource center for LGBT+ people and a branch of the Russian LGBT Sports Federation. They run a small community centre providing assistance, support and organise community events. We are not publishing the address of the community center for security reasons but you can contact the coordinator of the Resource center or call their hotline in case of emergency, also on Telegram or Whatsapp messenger at +7 904 985 13 76. The local community has kindly offered to help any visiting LGBT+ fans with advice on accommodation and places to go, as well as city walks in several languages including English, Spanish, Turkish, Japanese and Farsi. Please contact info@farenet.org to get in touch with them. There is one gay club in the city called FAME. Another LGBT+ friendly club ‘Mono’ had to close after an attack by football fans in 2016, who shot visitors with rubber bullets and threatened the owner, who decided to temporarily leave the country and close the business. Activists told us that in private life Yekaterinburg is a quite comfortable place to live, with tolerant and non-judgemental people. However, public displays of feelings or symbols of LGBT+ community are not encouraged and risk negative reactions. Female couples are considered safer to walk hand-in-hand than males. Despite a reputation as a forward-thinking and somewhat more liberal city politically, one story stands out – of Julia Savinovskih, whose adopted children were taken away by the authorities after she underwent an elective double mastectomy and ran a blog on social media as a transgender person. Julia is still fighting to get her children back.